ShadowClan is a group of cats that live in the marshlands of the forest. Their founding leader, Shadow, had gotten her name from the silent way she hunted at night, so the extension of the name was thought to be given to the Clan. They have always seemed to be the "darker" Clan, with fierce, more disagreeable warriors. This dark reputation has been earned over the years by an unfortunate run of corrupted leaders, twisted minds, and bitter plots. They are proud, loyal, defensive, and slightly arrogant; often seem to be misunderstood and portrayed by the other Clans as battle-hungry, aggressive, ambitious, and greedy for more territory. It was often said when the Clans were in the forest, that the cold north wind of the mountains chilled the ShadowClan warriors' hearts. However, as Rock states in Cats of the Clans, ShadowClan have the smallest amount of territory and prey, which may justify their readiness to add anything to the fresh-kill pile. 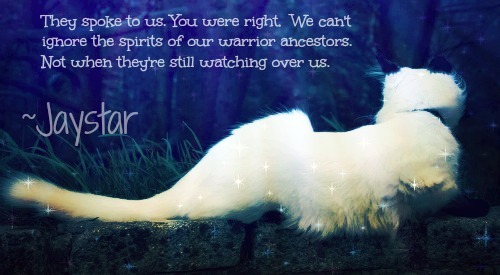 Even though their fierce warriors and hostile leaders earned ShadowClan its reputation, the leader Dawnstar led Firestar to believe ShadowClan were not always as unfair and cruel as they seem now. Their main prey are reptiles and amphibians, such as lizards and frogs. A secret food source is the Twoleg dump, though they are careful not to eat crow-food. ShadowClan cats hunt best at night, and are better than others at sneaking through undergrowth.